Join us for a bike tour to stunning Normandy and the village Vernon, where you'll explore Monet's private gardens on bike. 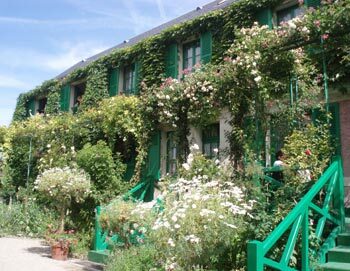 The tour also includes entrance to Monet's house, which you get to explore on your own. The tour starts with a private bus from Paris to the beautiful wheat and sunflower fields of Normandy to the village of Vernon. There you'll get your bike, and visit the market and buy picnic supplies, followed by lunch along the river in a beautiful park. After lunch, you'll cruise the charming bike path to Giverny. 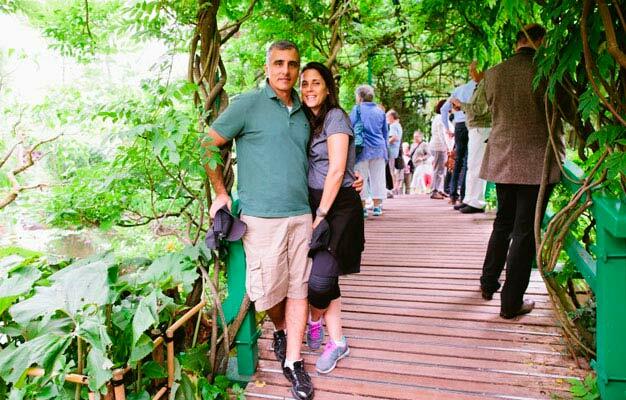 Monet's private gardens are alive with thousands of brilliantly colored flowers, water lilies floating on the pond and the famous Japanese bridge. Stroll through the Monet Foundation and feel the sensation of walking through one of Monet's beloved paintings. Monet's unique house, as well as his studio, are also open to visit so be sure to bring your camera! The village of Giverny offers you numerous cafés and quaint, small streets waiting to be explored. Experience the birthplace of the Impressionist movement first hand. After your visit to Monet's house and gardens, you'll leisurely pedal back along the Seine river to Vernon for your return bus tour to Paris. The tour starts at the Fat Tire Tours office. The address will be on your e-ticket. The tour lasts approx. 8.5 hours. The tour is casual. The tour is approximately 6.6 miles (10.6 km). How long will we get to explore the Gardens and Monet's house? You will have approximately 2 hours to explore on your own. No, lunch is not included in the cost of this tour. You will have the chance to buy picnic supplies at the market. Some vendors may accept credit cards, however, we recommend to have cash in euros available as well. What language is the tour available in? Absolutely! We have loads of families and we're a great family activity. We offer multiple bike options for children depending on their age, size, and riding ability. Please keep in mind that children under 16 years old must be accompanied by an adult on the tour. Due to limited availability, please book baby seats in advance! No, unfortunately, we do not offer children's tickets for this tour. Czas trwania: 8 godz. 30 min.